In past years it was considered perfectly acceptable to roll out of bed and into the day, but these days are long gone and we have entered an era where male grooming has become an important part of a man’s routine. Style icons like David Beckham have taken male trends away from the close cropped, clean shaven looks of the past and made it fashionable to sport all varieties of facial hair and allow the hair to grow longer for a trendy unkempt look, a ponytail or the coveted man-bun. With all this hair, the need for grooming and personal care products for men has risen drastically, bringing forth a slew of retailers offering men’s care products such as beard and moustache waxes and oil, specialty soaps, shampoos and elixirs, like the quality lines offered on the ESPA, NEW Triple Action Grooming Oil, website. Although hair is in fashion now it is important to be well styled and carefully groomed in order to maintain a clean and attractive appearance, and to keep course facial hair as fresh, and as soft and manageable as possible. 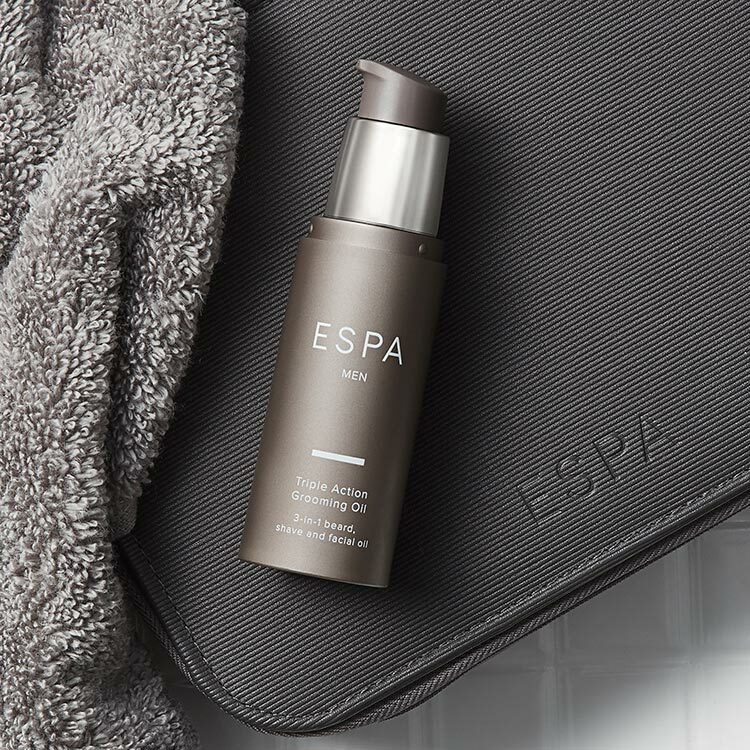 Introducing the latest grooming arrival from ESPA, NEW Triple Action Grooming Oil. This luxurious 3-in-1 beard, shave and facial oil is a multi-purpose oil designed to hydrate and protect skin, while smoothing and conditioning bristles for the ultimate close shave. The oil combines plant actives from the Brazilian Candeia Tree, which helps to minimise any irritation from razor burn while softening and soothing the skin. Extracts from the Prickly Pear cactus helps calm and protect skin against the elements with its array of antioxidants; as well as nourishing Omega 3 and 6 oils, Vitamins A and E and Kahai Oil to deeply hydrate, smooth and protect. Grooming has become such a big topic amongst men his year as a direct result of the rising popularity of the beard. Facial hair in any array is quite the trend these days, but with so many guys carefully cultivating their moustaches and chin whiskers it is only natural that personal grooming will gain popularity as well, as men attempt to style and tame their whiskers. 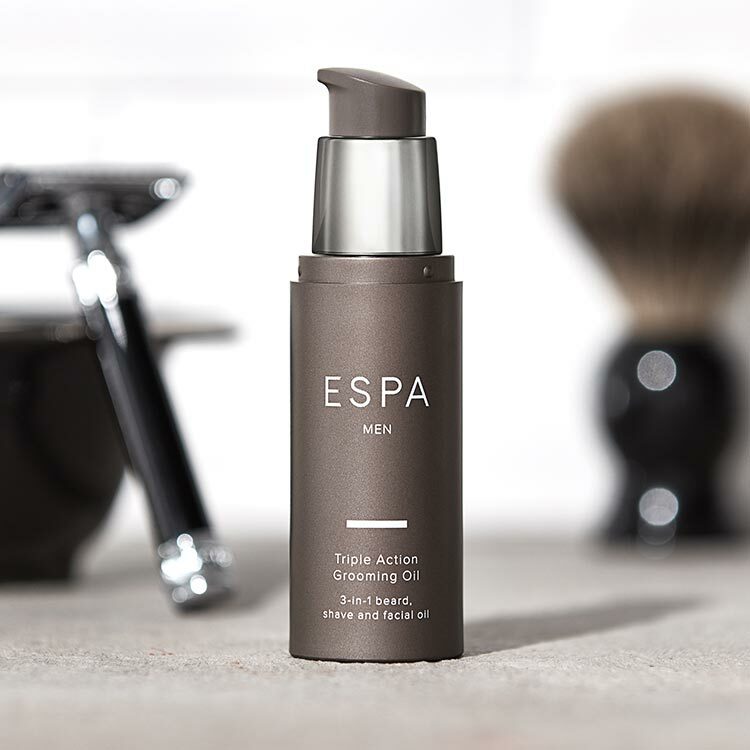 Apply a few drops of ESPA, NEW Triple Action Grooming Oil to smooth the beard and allow the oil to absorb into the skin, to condition the hair. We can expect to see men spending as much time on themselves in the mornings as women these days, and it will likely stay this way while beards and more hair in general are trendy. Growing out facial hair is a big commitment for a man, and grooming routines are time consuming, but an absolute must to keep the hair clean and manageable, so the beard and moustache can actually enhance the appearance of the wearer, not be seen as a mess. 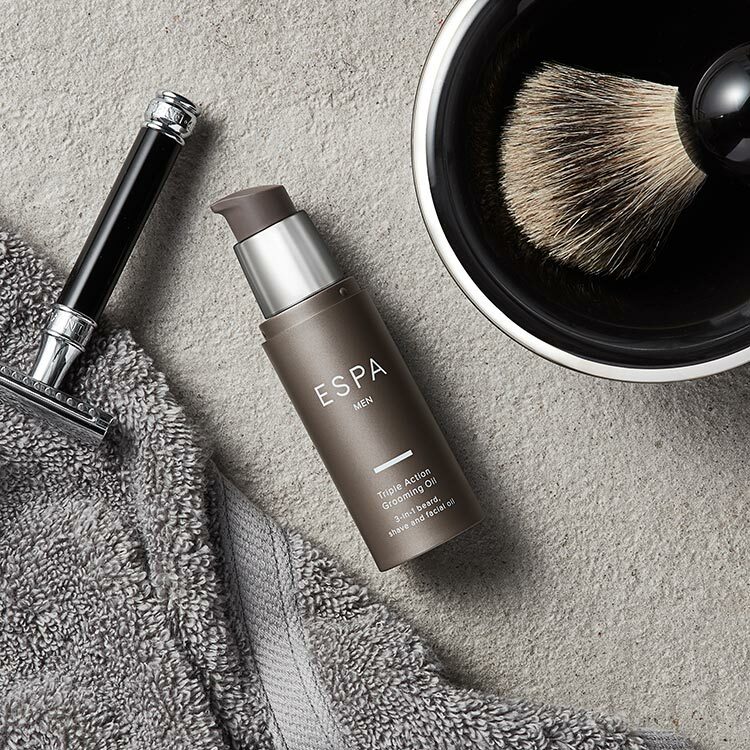 Or for a clean shaving result just add ESPA, NEW Triple Action Grooming Oil. Massage a few drops into the skin then shave. The oil provides a gentle yet effective glide for shaving while leaving the skin feeling soft and smooth.